Mercy Haruna Wakawa from Borno State, Nigeria, was looking forward to getting a job after graduating from the University of Maiduguri where she studied Food Science and Technology. After so many futile efforts to get a job, and almost at the point of giving up, she got the opportunity to participate in enterprise development training with other youths from Borno State in September 2014. “I was not keen but enlisted for the training just to be part of anything. I did not know that something meaningful was going to come out of it. The training was organized by the IITA Youth Agripreneurs (IYA) at the IITA Kano Station (in northern Nigeria). It was a three-week, mind-changing, intensive training, which covered topics in agribusiness, entrepreneurship, ICT in agribusiness, fish farming, and science-driven agricultural practices,” she said. Today, she is the founder and Managing Director of a successful agribusiness company, Confianza Global Resources, that processes groundnut into oil and cake for livestock feed. Her journey into agribusiness started with the interventions of the IITA Youth Agripreneur program and N2Africa. Mercy says groundnut processing is a profitable business. Confianza Global Resources currently employs four youths from the host community. The business has also created livelihood opportunities for many women in groundnut processing and marketing in the host and neighboring communities. Zaccheus Izuwa is the proprietor of Sorgi Enterprises, which is into grain supply, seed production, and consultancy. He started the business in Abuja, the capital of Nigeria, after incubation with IITA in 2015. The business found a niche in production and aggregation of sorghum grains, making its first sale in 2016. Sorgi aims to become the leading producer and supplier of clean high-quality sorghum grains in West Africa. It now provides seeds and grains to big private sector partners such as Honeywell Flour Mills and Guinness Nigeria Ltd., and to the IITA Business Incubation Platform, IITA’s commercialization arm, which produces Aflasafe, a biocontrol product that controls aflatoxin, and NoduMax, a bioinoculant that fixes nitrogen to improve the yield of legumes, such as soybean. Top Notch Poultry, a feed-to-fork broiler business invested $120,000 to increase its revenue from $90,000 to $200,000, and has 9 staff which it hopes to increase to 26 by year’s end. The company is building a small-scale commercial reference-farm with feed mill, parent stock, incubation, hatching, growing, processing and retail/food units for research, training, and franchising. The business adopts the latest industry innovations, including a multi-cracker for cutting feed rather than milling, on-farm hatching, and the use of energy efficient panel brooders which imitate the natural environment in which the birds grow. With support from IITA’s Youth Agripreneur program, and a fully repaid start-up loan of $14,000 in January 2017, the company now sells 500 chickens per week. “We want to grow the business this year to 1,000 chickens per week, and seek further investment to train other youth and establish a revolving fund to establish their own franchises,” explains Ibukun Agbotoba, youth agripreneur and co-owner. These youth agricultural entrepreneurs or “agripreneurs” all went through IITA’s youth incubation program, a model that is attracting the attention of many development organizations and funders. This formula for youth engagement in agriculture is being adopted by other development projects and government programs promoting job creation and employment, including Nigeria and the other sub-Saharan African countries. 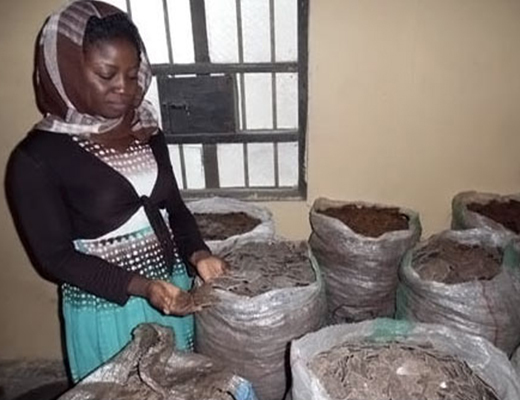 These stories are repeated in other countries in sub-Saharan Africa where the International Institute of Tropical Agriculture (IITA) and IYA have started a chapter or trained youth in agricultural business and value chain enterprises or provided start-up packages. IITA will showcase to stakeholders in the agricultural sector in Germany how it is contributing to the transformation and development of African agriculture through agricultural innovations that meet the continent’s most pressing challenges of hunger, malnutrition, natural degradation, and youth unemployment. The side event will take place after the IITA Board of Trustees meeting scheduled on 26 April at the Center for Development Research (ZEF), University of Bonn, in Germany, which is hosting the meeting. The IITA Director General, Dr Nteranya Sanginga, will give a presentation titled the ‘African Agricultural Transformation: The IITA Agripreneur Approach to Job Creation.’ Sanginga will talk on how IITA trained, mentored, and coached unemployed young people such as Mercy, Zaccheus, and Ibukun, to embrace agriculture as a business and create jobs and wealth. Zaccheus and Ibukun will also be presenting on their stories and experiences in setting up their agribusinesses. According to Sanginga, “Part of the challenges facing Africa is the ageing population of the active food-producing farmers which is roughly 60 years. We need a new generation of farmers to produce our food in the future. Also, the rate of food importation in the continent is $35 billion per year, which is estimated to increase to $110 billion if nothing is done by 2025. Yet the continent has over 60 percent of the arable land in the world and over 60 percent of the young people—who constitute the larger percentage of the population in Africa—are jobless and not contributing to its economic development,” he said. “We need to mobilize this dynamic, vibrant, resilient, and active sector of our population, give them support to succeed in agribusiness and innovative agricultural enterprises through training, incubation, and start-ups, and ensure Africa’s, if not the world’s food supplies in the future,” Sanginga reiterated. IITA established the IITA Youth Agripreneurs in 2012 to train young people from diverse academic backgrounds towards revitalizing the agricultural sector through food production, food safety, as well as research and technology dissemination to African farmers. “By breeding a younger and more innovative and educated generation of farmers, IITA is helping ensure that the young people take over from the older generation of farmers, and industrialize the sector through the establishment of self-sustainable agribusiness enterprises which give young people the opportunity to create jobs for others,” explained Prof. Christian Borgemeister, ZEF Director and a member of the IITA Board. IITA and IYA have trained over 2,000 youth in countries like DR Congo, Kenya, Uganda, Zambia, and Tanzania along various value chains, many of them establishing agribusiness enterprises. For instance, the N2Africa project, which work through partnerships using effective production technologies including inoculants (NoduMax) and phosphorus fertilizers, has a strong focus on engaging youth as agents of change towards increased food production, improved livelihoods, and reduced unemployment. This is done through mentorship and capacity building on new agricultural production technologies, entrepreneurship development, provision of starter packages, and facilitating access to credit. More than 120 trained youth are currently employed in agribusiness activities in the northern part of Nigeria. In the same vein, IITA set up the Business Incubation Platform (BIP) in its headquarters in Ibadan, to scale out its research and technologies to help ensure that 11 million people are raised out of poverty and redirect the sustainable use of 7.5 million hectares of degraded land. BIP hires young men and women in its operations, who are also trained in various aspects of agricultural production, processing, marketing, and networking; and works with start-up agribusinesses set up by youth that have undergone incubation with IITA and IYA. The model has since been adopted by the African Development Bank for a continent-wide youth-in-agribusiness initiative known as ENABLE Youth Program. ENABLE Youth aims to use over $1 billion to provide over 8 million agribusiness jobs and support agricultural enterprises within 5 years for unemployed young women and men.